It's hard to concentrate on healing if you're worried about getting back to work on time. Because our counsellors aren't limited to traditional office hours, we can offer flexible appointment times to accommodate your schedule. Morning, afternoon, and evening sessions are available. Our 24-hour reception service means you can schedule your appointments and leave messages anytime, at your convenience. You'll always get a live person, no matter when you call, and you'll always know we got your message. Our licensed therapists have recognized, comprehensive training and more than a decade of in-depth clinical experience. At Aspen, you don't have to worry about being assigned an inexperienced counsellor who may be unfamiliar with the type of issues you're facing. Working with our professionals means you'll receive quality treatment from a caring counsellor who has a deep understanding of a wide variety of issues and how to best address them. Our knowledge and skill come from our backgrounds working at treatment centers, mental health clinics, employee assistance services, and specialized youth programs. Our understanding of your needs comes from years of building strong, supportive relationships with hundreds of clients. We're here to provide you with a supportive, healing environment. We know that this looks different for each client. 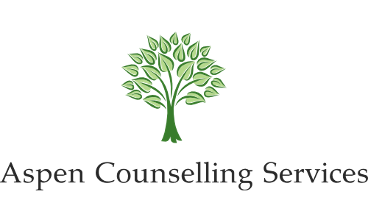 Your counselling sessions will always combine a therapeutic relationship based on compassion and respect with empirically supported, evidence-based treatments. Beyond these cornerstones of our practice, our therapists are flexible in how they work with you. Some clients appreciate receiving expert direction in managing their particular concerns. Others prefer the counselor to act more as a partner and guide. We always strive to give you the support YOU need to reach the favorable outcomes you're looking for. Our years of professional experience means we can deliver honest, direct and informed feedback. Our respect for our clients means we welcome your feedback and honour your unique point of view. We view therapy as a collaborative process and will do our best to ensure your experience is a positive one. Whatever your issue, you can bring it into our sessions and be listened to with respect and in confidence. At Aspen, you'll find a safe, non-judgemental environment to discuss important matters in confidence. There are numerous benefits to therapy, some of which include reduced stress, enhanced coping, and an improved perspective on your personal difficulties. Relationship counselling can also help decrease conflict and foster improved communication within couples and families. Your experience at Aspen goes beyond the standard medical approach to psychological health issues. At Aspen Counselling, we consider therapy as an investment in your well-being as a whole. Our counsellors can assist you with navigating through your present concerns, while also strengthening your ability to manage challenges you might face down the road.